Old school baking? 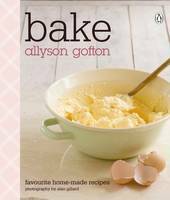 Am hoping to get hold of a copy of Allyson Gofton’s new book Bake as I am on a baking kick. Loaves to be exact. I’m trying to cut down on the biscuits and sweeties and have switched to a nice slice of loaf with my cuppa. So easy to make, especially in those silicon loaf container. Thus far have made banana, date, and my own invention … glace cherries and pebbles. Citrussy ones next I think. On the food side of things, last week we enjoyed a fresh fish agenda. City Seafood Market is the place to go and we’ve decided to do the fresh fish thing every week. So dang tasty and good for you. Those 70s painting of cute kids and kittens with big big moist eyes? Sas Christian does something similar for today. Adorable. Gene? Indie band of 90s touted as a bit like The Smiths with an archly foppish frontman Martin Rossiter? Time to listen to them again if you stopped (I never did, way too catchy and melodic to forget). Designer John Galliano? Been hankering to sample his new fragrance Galliano – my sister kindly sent me a sample from Melbourne and it measures up to all expectations. Which is no small achievement as my hopes were high. It’s stunning and reminds me of many of my favourite fragrance attributes – Chanel no 5, Guerlain, soft powdery, divine. Blythe Love? Haven’t bought any for a while but still feeling the Blythes.